Start with a ball screen from 4 on 1. Top screen from 5 to 4. If the ball screen is not defended 1 can shoot. 1 can go to the basket for a layup. Pass the ball to 4, 3-pt shot from 4. 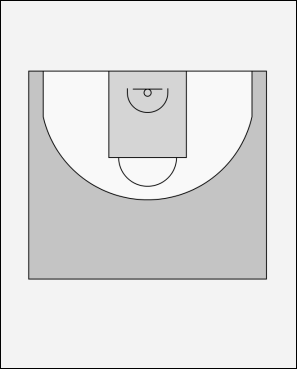 Or pass to 5 rolling to the basket after the screen. When the defense collapses/helps out, 2 or 3 is free and ready to take a shot.